LEAD SINGER for new " SALVATION " band . PREFER Named , high profile , experienced singers. After lead Singer found , then musicians . BAND. Then RECORD Deal , find Co. Label . Be able Record / Perform / Travel . Initial Auditions by your websites , media. PROD . Dates future .
" 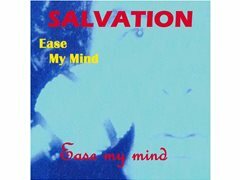 SALVATION " new LEAD SINGER Male / f .
SING Record my Original songs . Variety selection styles and band " SALVATION "
Prefer High Profile Experienced Singer / Performer . Good vocal range 3 Oct ideal - 2 Octave .